Strong system leadership is a critical component and driver for effective and sustainable system transformation. The GELP initiative is a partnership of thought-leaders from world-class organizations, collaborating in a global community with teams of key education leaders who are committed to transforming education in practice and developing the personal skills they need to lead the changes required. GELP supports these education leaders to drive forward system transformation in their jurisdictions to meet the challenges of globalization, demographic shifts and technological advancements. 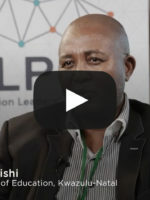 Facilitated by MIET AFRICA, a committed education leaders from government and non-government sectors have used the skills and knowledge gained through participation in GELP to actively engage around a transformational education strategy that is contextually relevant for 21st century learning. 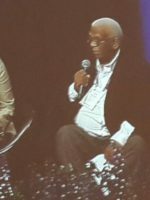 In April 2015, MIET AFRICA co-hosted a successful international GELP meeting in Durban, at which the idea of establishing an “innovation hub” for education in South Africa was mooted. 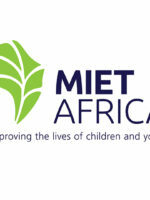 As a result of a subsequent report researched and prepared by GELP, in partnership with the Boards of the National Education Collaboration Trust (NECT) and FirstRand Empowerment Foundation, an Innovation in Education Unit for the basic education sector in South Africa—to be located within the NECT—is being established. GELP is funded by the Anglo American Chairman’s Fund and the FirstRand Empowerment Foundation.